Otters are in. In fact, they’re not just in – they are everywhere. Whether it’s the new craze of swimming with otters for therapy, or an otter slam-dunking miniature basketballs, the Internet is alight with viral videos of these fascinating and funny furballs. With millions of hits and the world falling head over heals for otters, the time has come for a dive into their remarkable lives. 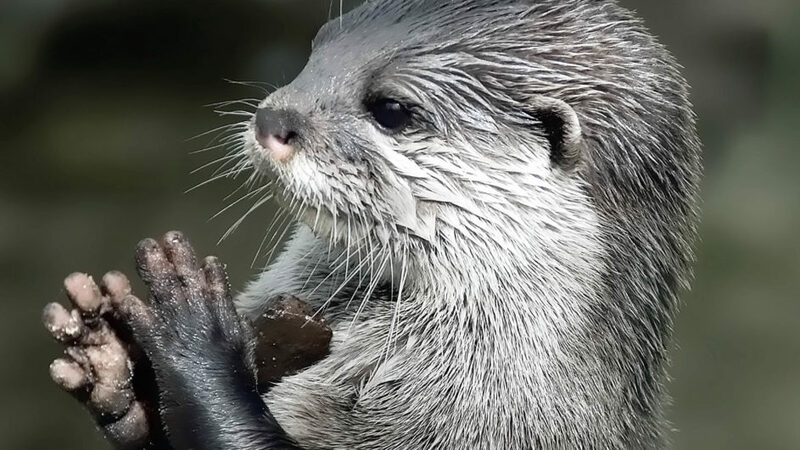 This film reveals the natural history of wild otters. Otters are members of the mustelid family; closely related to martens, badgers, skunks and weasels. There are thirteen different otter species, found on every continent except Antarctica and Australia. All live on or alongside water, feeding mostly on aquatic prey. They share the characteristic appearance of a whiskered muzzle, small round ears, thick fur, powerful legs and webbed feet. However, otter ecology and behaviour varies greatly between species. The otter is one of the modern world’s most loved animals, yet we know surprisingly little about their habits in the wild. From huge rafts of social sea otters in frozen Alaskan waters, to solitary European otters in Scottish lochs and giant river otters in the Amazon jungle, we reveal otters in their full, wild glory. Following otters through all their life stages, from pup to independent adult, we find out why these animals have such public appeal. Indeed, a fascinating side of the otter’s story is the relationship they share with people. Most recently, the Internet has thrown otters into the spotlight. Even videos of newborn pups are enough to go viral. Our film visits some of these new Internet stars in California, where a non-profit organization is giving unwell children the chance to swim with otters. Humans and otters have not, however, always shared such a close relationship. Despite their newfound popularity, in 2008 all 13 species were placed on the IUCN Red List. Over the centuries, persecution has seen otter numbers fall dramatically. The otter hound was bred specifically to hunt otters. But are they fishermen’s foe or friend? We visit a disappearing way of life in Bangladesh, where fishermen traditionally raise otters to help them corral fish into their nets. From frozen waters to steamy jungles and even cities, otters have conquered a diverse range of habitats. More recently, despite a history of hunting and persecution, they’ve come to conquer the Internet and the public’s hearts. ‘What a Lotta Otter!’ will be a rich, diverse, funny and fascinating documentary about what it means to be a modern day otter.